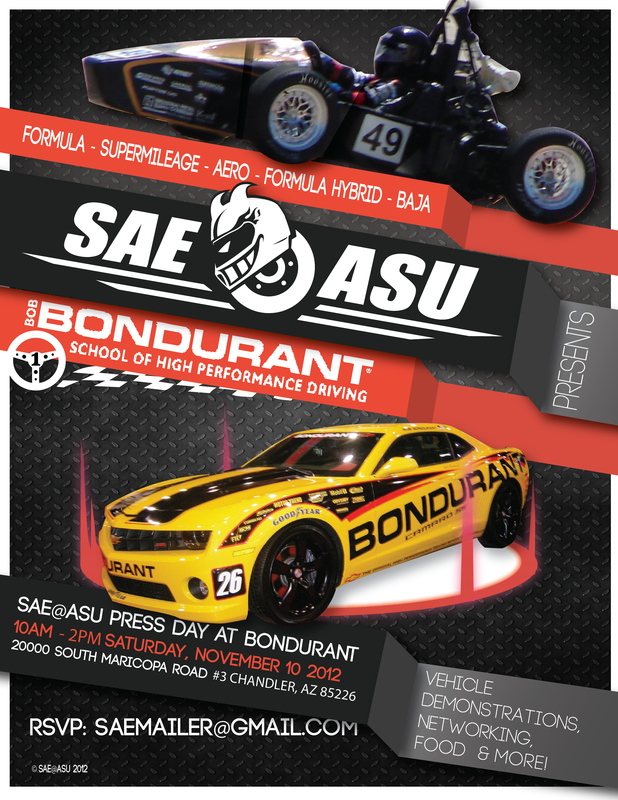 ASU’s Society of Automotive Engineers will hold a press day at the Bondurant School of High Performance Driving on Saturday, November 10 from 10 a.m–2 p.m.
All current SAE members and alumni and their families and friends are invited to attend along with past sponsors and donors, Fulton Engineering faculty and prospective sponsors. This event is open to the public. 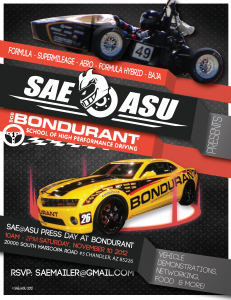 The event will include vehicle demonstrations on the Bondurant track, networking, food, photo ops and more.